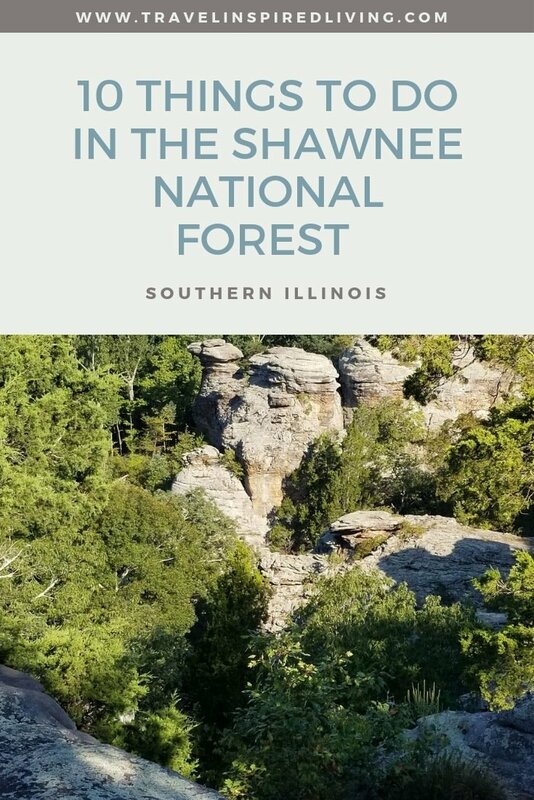 Thanks to Southernmost Illinois for extending an invitation to experience the best of the Shawnee National Forest Area and to our writer Crystal Rapinchuk for attending and sharing her experience. 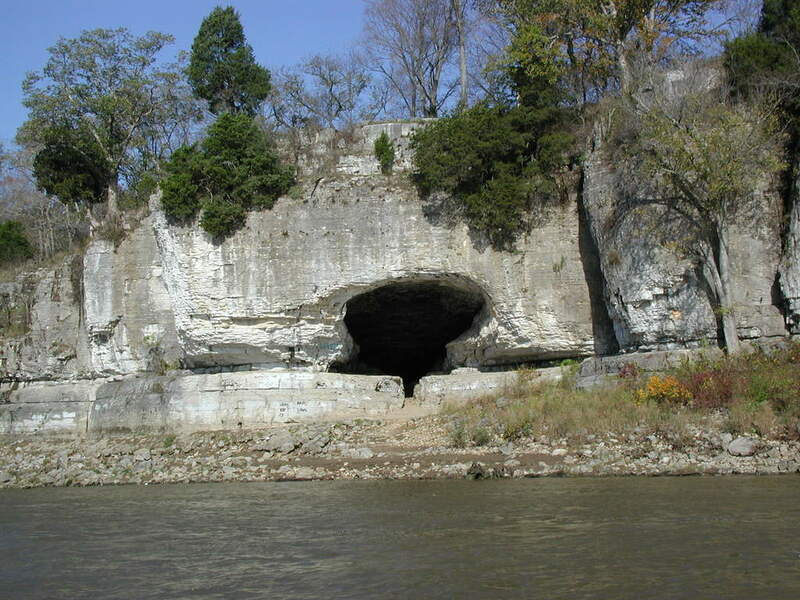 Southern Illinois is a beautiful spread of country with so many things to see in the Shawnee National Forest Area! 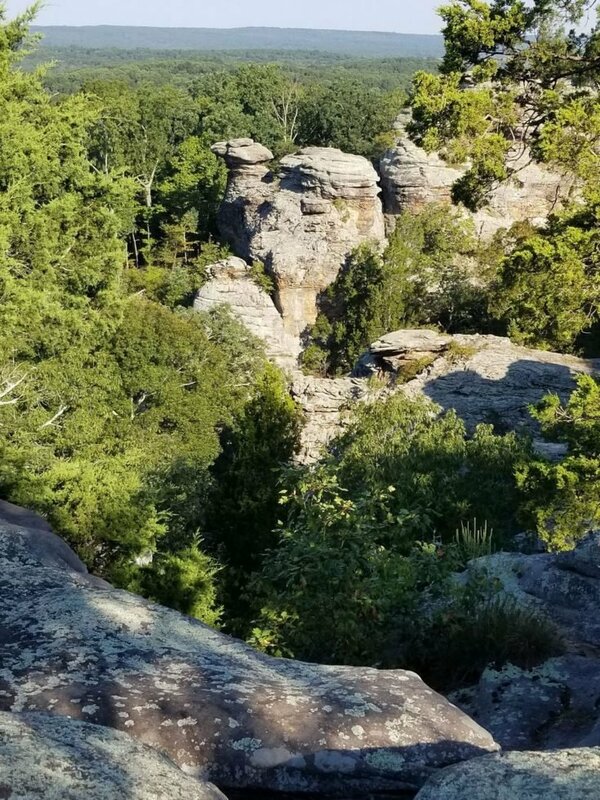 I’ve been wanting to visit Garden of the Gods in Shawnee National Forest for years so I was thrilled when I was invited on a press trip to explore the forest area! 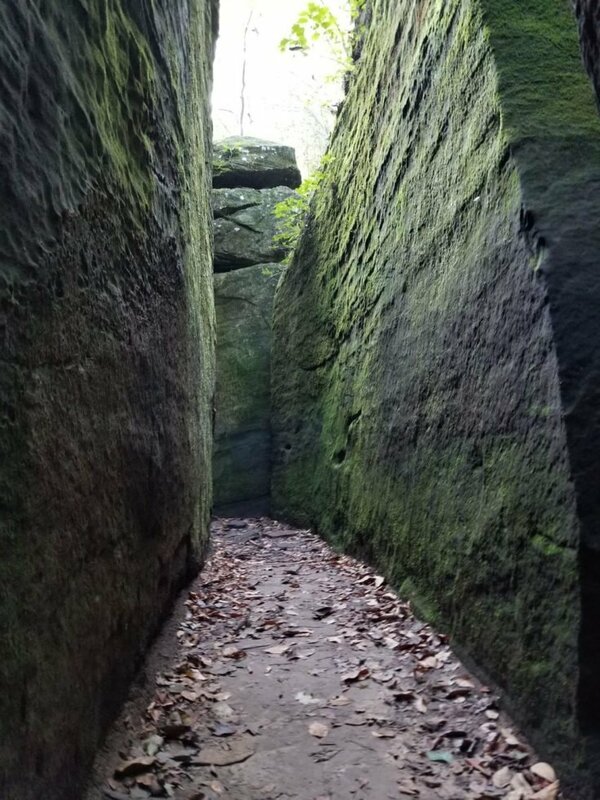 Below are just some of the things to do on the more eastern side of the Shawnee National Forest. Hike in the Garden of the Gods. This location is the most touristy hot spot in the Shawnee National Forest for its stunning scenic views and unique geological formations. You can’t go wrong with any hiking path in the Garden of the Gods area! 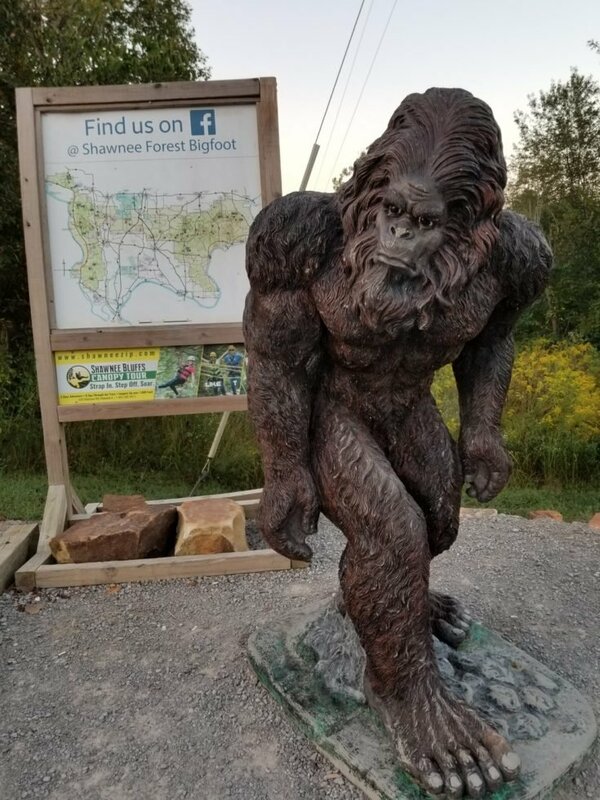 Take a selfie with the Shawnee National Forest Bigfoot! This local legendary statue was installed by a local resident and business owner on a whim and it’s drawn quite the attention ever since! You can’t miss this big statue on the side of the road! It’s across the street from the Outpost – just pull off in the small parking lot and grab some selfies and silly videos! Don’t forget to tag @ShawneeForestBigfoot on Facebook! Grab some ice cream at the Garden of the Gods Outpost and make a call on their working pay phone! 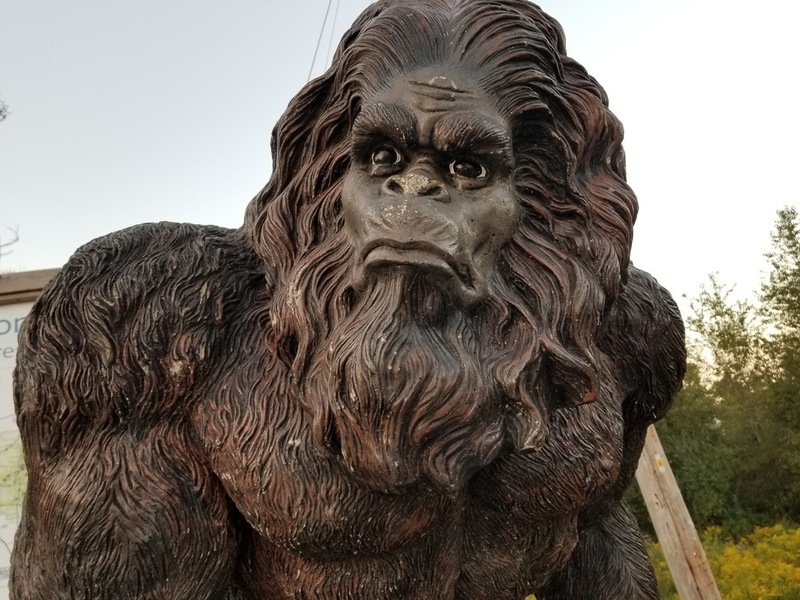 This local hot spot is fabulous for cold drinks, ice cream, Bigfoot and local area souvenirs (including pressed pennies!) and yes – definitely for asking directions! They are incredibly friendly! 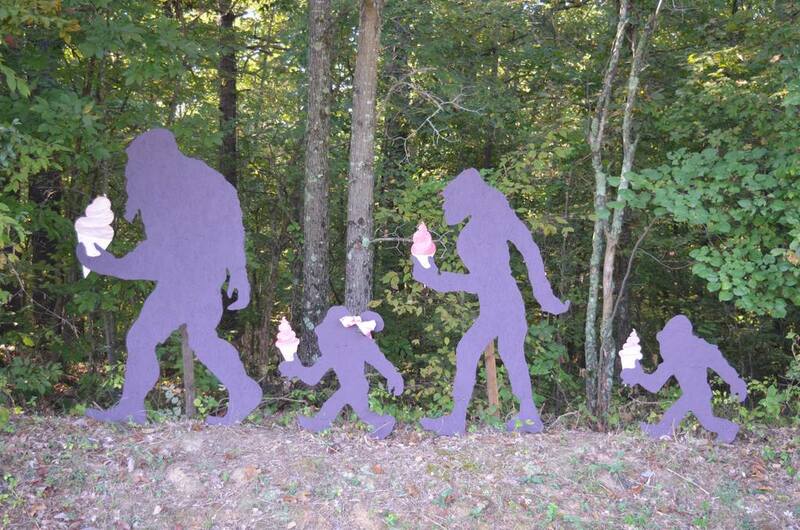 Don’t miss the family of Bigfoot across the street eating ice cream on display! Have a picnic under the Golden Circle. The Golden Circle is an amazing local spot that most tourists don’t know about. 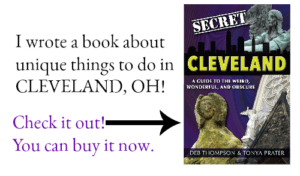 But I will warn you – it’s completely unmarked so be prepared for an adventure! It’s just down the road from the Outpost but I highly recommend stopping in there to ask for directions! You’ll have to do a big of backwoods gravel driving but we didn’t have any issues in our minivan. Just make sure that you bring everything out that you brought in and don’t leave any trash! Hike down into Rim Rock. 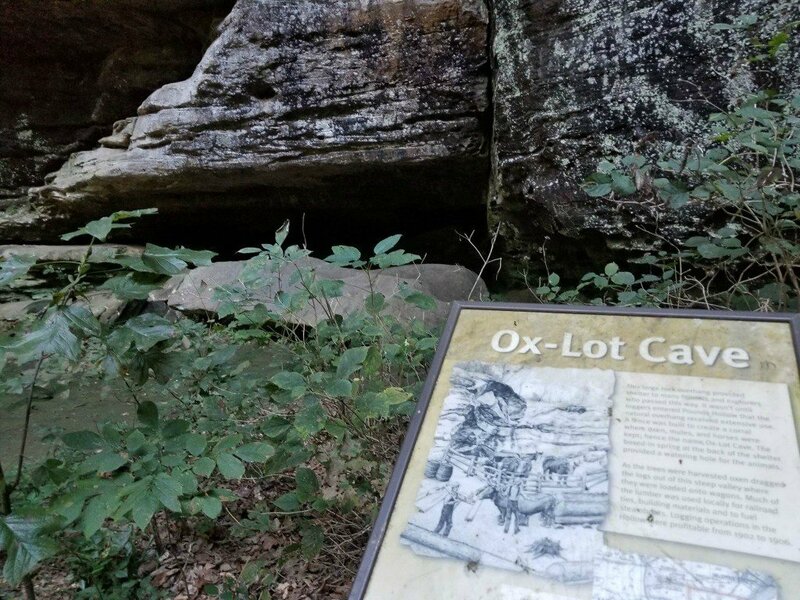 Ox-Lot Cave received its name as it was once used as a corral to keep oxen, mules and horses. A small spring is boxed in off to the side and was a watering hole for animals. In the early 1900’s the area was used for logging and can be seen at the bottom of the Rim Rock trail. Pounds Hollow is just down the road from Rim Rock and is a beautiful quiet section of Shawnee National Forest but a popular swimming hole in the summer! The great thing about Pounds Hollow is that it is FREE for anyone to visit, swim, fish, or boat at – just bring your gear! There are NO fees here (although you’ll need a fishing license like anywhere else in Illinois)! You can also pitch a tent and camp here too for about $10/night! Having a huge obsession with caves, Cave in Rock was my favorite place to explore! There are legends going back hundreds of years about pirates. 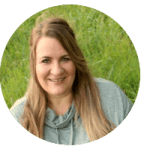 Most of the legends are fictional, but the most fierce legend is real. Captain Samuel Mason, originally from Pennsylvania, was a lifelong criminal and pirate that not only attacked boats on the Ohio River but would also steal from people’s houses while they were at church on Sundays. Two movies were actually filmed here which further inspired the legends looming around this cave: Davy Crockett and the River Pirates (Disney film 1950’s) and How the West was Won (MGM Film 1960’s). 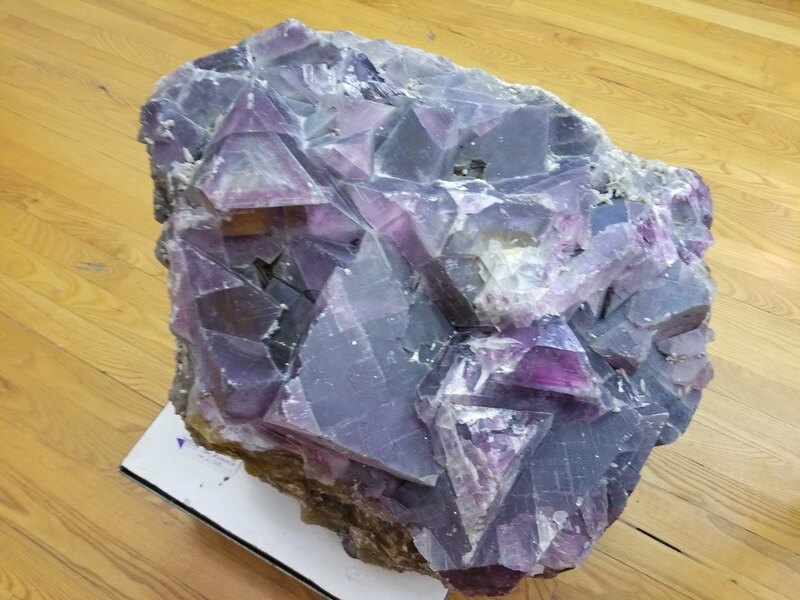 Dig for Fluorspar at the American Fluorite Museum. This small but history packed museum is located on the site of the Rosiclare Fluorspar and Mining Co., which was once the largest fluorspar mining company in the U.S. Fluorspar is used to make things like Corningware, propellants, freon, and more. You’ll find maps, plenty of fluorspar and other minerals on display, and even old mining equipment, uniforms and models! When you’re done soaking in the history inside head outdoors and wander around the large property. 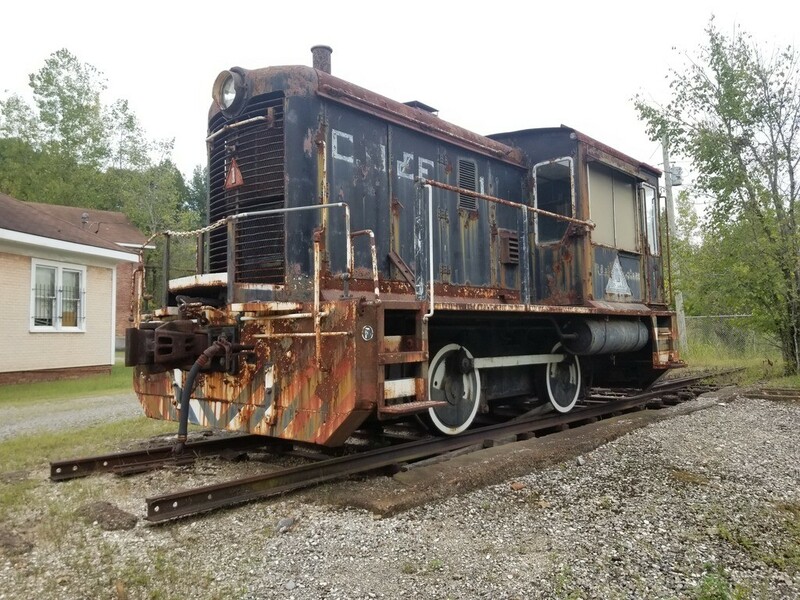 You’ll find an old train car, mining carts and equipment, and even the old power house! For a fee, you can also dig your own fluorspar out of a large pile and take it home! Climb inside the Iron Furnace. 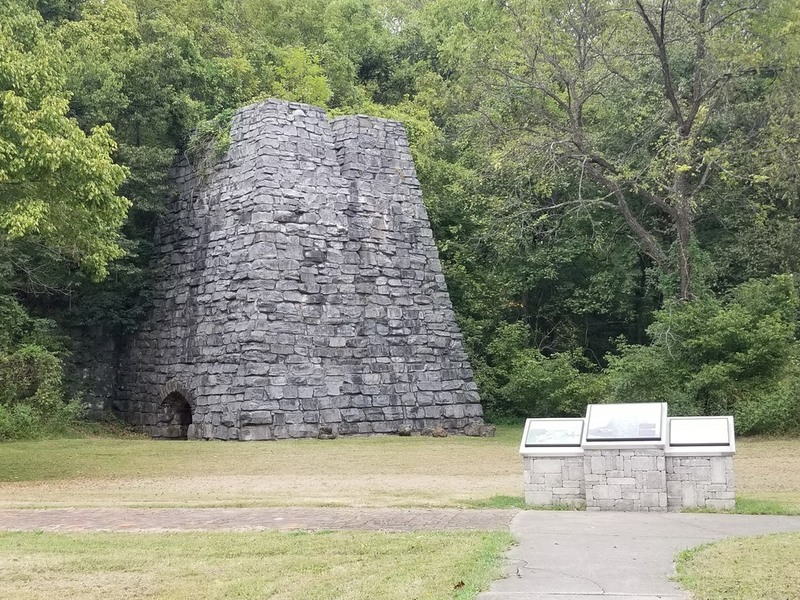 This impressive piece of history was in operation as the only working Iron Furnace in Illinois from 1837 to the 1880’s. It was, however, rebuilt in 1967. It produced 9 TONS of pig iron PER DAY which is an incredible feat even today! Looking for somewhere pretty centrally located on the eastern side of Shawnee National Forest? The Shawnee Forest Cabins are incredibly cozy and have PRIVATE HOT TUBS as well as a fireplace and full kitchen! You can walk to see Bigfoot and the Outpost from your cabin and you’re only 2 miles from Garden of the Gods! 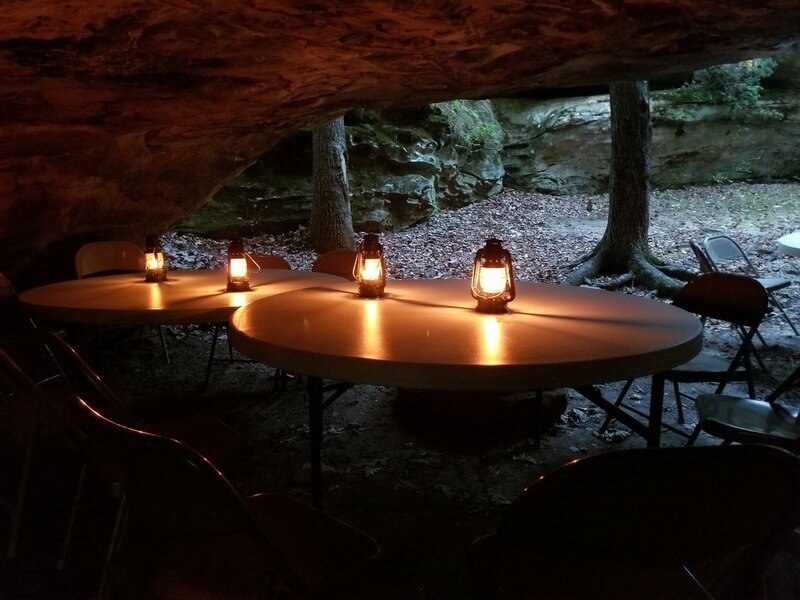 Find even MORE places to see and stay on the eastern side of the Shawnee National Forest here or anywhere else in the Shawnee National Forest area here! Thanks to my friend and colleague, Crystal Rapinchuk for attending a press trip on behalf of Travel Inspired Living and sharing her experience with us. Crystal loves to spend time outdoors, exploring caves and planning epic road trips with her family and sharing her experiences on ExplorationAmerica.com.